Mark your calendars for the second annual BABEFEST coming to Provincetown, MA on October 8! Experience music, community and activism all packed into one night during Provincetown's annual Women's Week. Tickets go on sale to the public Friday, Sept 8 but you can get your tickets before the general public starting Wednesday, Sept 6 at 10am! All the details below - don't wait! This is an intimate venue and bound to go fast! Ani's bringing the full band: Todd Sickafoose, Terence Higgins plus Ivan Neville and Jenny Scheinman. Babefest also features poet Andrea Gibson, comedian Rae Sanni, and musicians Gracie and Rachel. 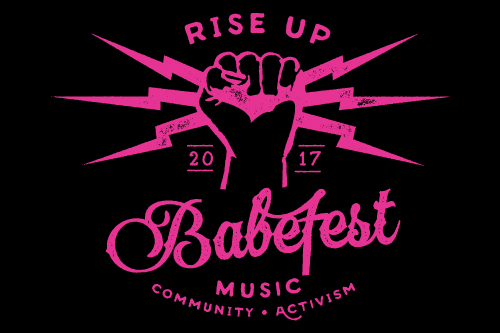 Beyond great performances, Babefest includes an Activist University meetup at Fishermen Hall at 3pm, giving the Babefest activists the chance to connect and learn from each other how to create impact in their communities, country and the world. Activist University was launched in 2016 by Care2, the world's largest social network for good, with over 40 million members starting petitions, supporting each other's campaigns and sharing stories that inspire action. Activist University is a collaborative 60-minute session guided by Care2 campaigners designed to bring activists together and provide a step-by-step guide to grassroots organizing focusing on using local activism to make a difference in your City.